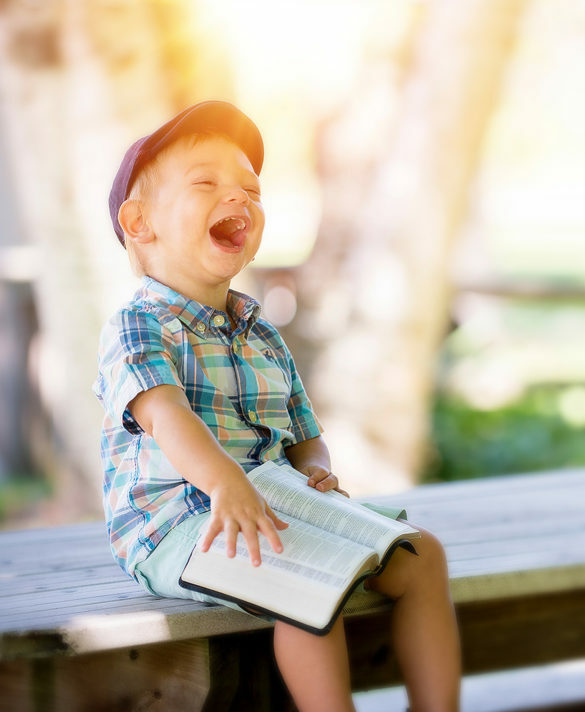 26 Lessons You Didn't Know Your Children Could Teach You. A toy Transformer becomes an illustration of the Trinity. 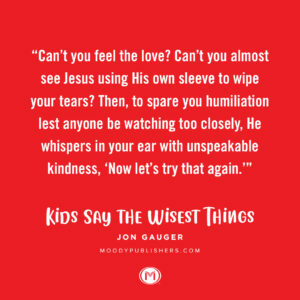 A child’s simple question “How do you text the Lord?” is a springboard for a fresh take on prayer. The unwelcome thwop-thwop of a flat tire spurs an urgent question from a young girl. Even that perennial favorite, the knock-knock joke, becomes a way to consider a life-altering decision. 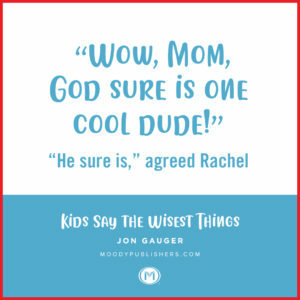 Great themes of the faith and of Christian living are explored, cloaked with enjoyable anecdotes about kids and their unwitting utterances of brilliance. Short chapters keep it moving. Great stories keep it funny. Powerful application makes it personal. 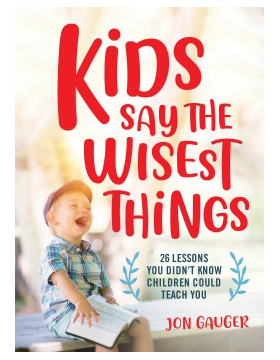 Kids Say the Wisest Things is stimulating for the believer, and because of its huge appeal, makes a perfect gift for any friend. 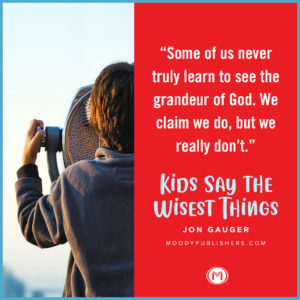 Jon Gauger hangs out with kids so much, most of them are pretty sure he’s one of ‘em! 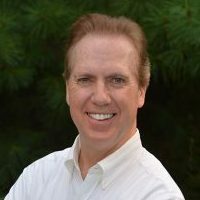 When he’s not capturing their stories, Jon is an on-air host and producer for Moody Radio where he also does photography and videography. 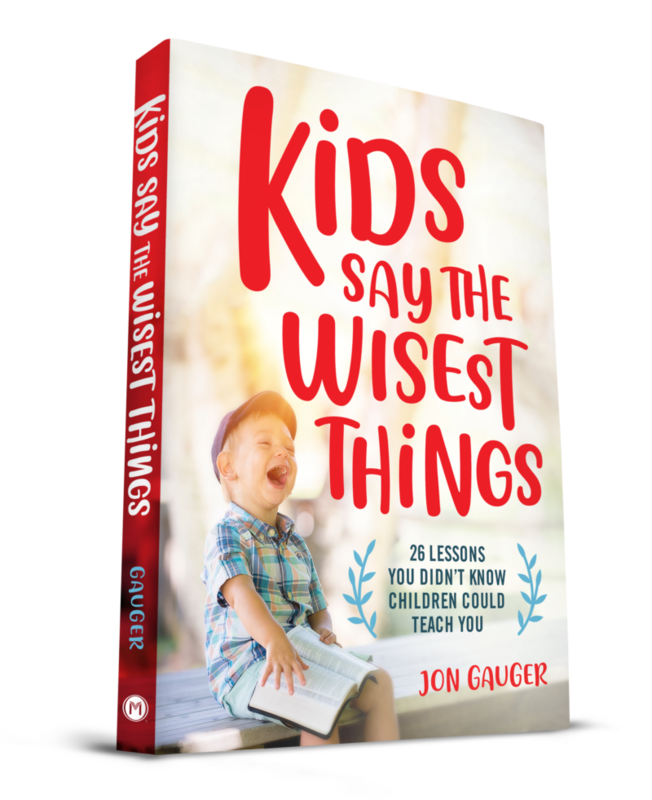 Gauger is the award-winning narrator of more than 60 audio-books and has traveled to 36 countries as a journalist or speaker. Jon has also written, If I Could Do It All Over Again and releases a weekly blog, The Thursday Thought, at Jongauger.com. He and his wife, Diana, are never more alive than when camping, traveling, or playing with their (truly exceptional) grandkids. Jon is also happy to craft something around your unique event. Little tots love everything to do with flight. Remember as a kid how you pinned a towel around your neck and pretended you could fly? Remember how you would run around, your arms stuck out like wings as you pretended to fly like an airplane? Nate was one of those kids. And he had a grandpa who shared his love of flying. In fact, before Grandpa had his driver’s license, he’d earned his private pilot’s license. That’s somebody who loves flying! So there they were—Nate and Grandpa—flying. Not in a real airplane, mind you. They were soaring with Microsoft’s Flight Simulator. But it might as well have been real. Grandpa had an actual airplane yoke controller (steering wheel for us non-pilots). The monitor was big. The speakers were big. And whenever they happened to crash the airplane—somewhat regularly when Nate was in the pilot’s seat—the booming sound was—well—really big. Booming, in fact. The crash was loud enough that it scared young Nate. It got to the point that when Nate sat at the controls and sensed his Cessna was about to smash into the ground, he would say, “Here, Grandpa! You take it!” He’d bail out and run into the bedroom next door to hide. Sometimes Grandpa could pull the plane out of its nosedive, sometimes not. As for Nate, he loved flying—but hated crashing. I’m not sure if they got the gas—or the popsicles. But I am sure of one thing: Nate’s decision to let a true pilot handle the controls when the flying got rough was a good one. That same advice is right for you and me. We need amore experienced pilot than ourselves in charge of our flight through this world. The thing is, nothing looks easier or more fun than sitting at the controls of your own life—hand on the throttle, feet on the rudder pedals. But in the deception lies the danger. No one has ever said, “I think I’ll choose a life course that will land me in failure. Or loneliness.” No one ever deliberately set the compass of their lives fixed on the eternal destiny of hell. But nevertheless, many will be there. Clearly, we are prone to potentially fatal distraction and misdirection. We tend to be pretty sure we know in which direction to head—and how to get there the quickest way. But eventually, disaster strikes. If not in this life, then in the life to come—when it’s too late to make a course correction. In the world of airplanes and navigation, pilots who refuse to trust their compass and other instruments open themselves up to a sense of misdirection called spatial vertigo. Pilots utterly convinced they are heading in one direction end up in just the opposite. The result can be deadly. Same for you and me, spiritually. The famous bumper sticker that says, “God is my copilot” is quaint—but entirely inadequate. We have no business sitting in the pilot’s seat—or demoting God to a copilot role. Deuteronomy 31:8 speaks to the unfailing nature of God’s direction. “It is the Lord who goes before you. He will be with you; he will not leave you or forsake you. Do not fear or be dismayed” (esv). On longer international flights, laws dictate that a pilot can fly only so many hours at a time. After that the crew must be replaced with a second set of pilots while the weary get some mandatory sleep in the crew rest—beds on board the aircraft. But Jesus is on duty 24 hours a day, 365 days a year! Hebrews 13:5–6 declares, “For he has said, ‘I will never leave you nor forsake you.’ So we can confidently say, ‘The Lord is my helper; I will not fear; what can man do to me?’” (esv). When the flying gets rough, the wise turn to a Pilot they can trust. Naturally, we want the Pilot whose flight path will ultimately land us in heaven. But we need safe passage through the turbulence we face along the way as well. We need the Pilot who can help shape our worldview in a culture that increasingly rejects Christ. We need the Pilot who can help us truly love our neighbors rather than ignore them or resent them. We need the Pilot able and willing to help us with the daily decisions that rush at us from a thousand different directions every day. Dear God, I agree with You that I’ve made a mess of things, grabbing the controls of my life. I have sinned. I believe You died on the cross to pay for my wrongdoing. Please forgive me. Please take charge of my life—be the Pilot now and forever. I look forward to one day being in heaven with You. Amen! 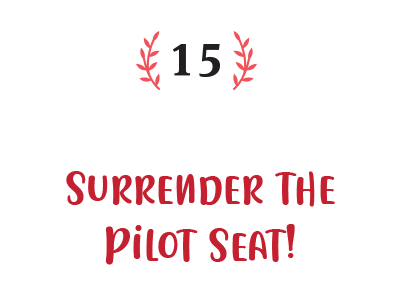 Surrender the pilot’s seat. Let the Lord handle your destiny. I can’t guarantee there’ll be popsicles when it’s over. But the destination will certainly be even better—heavenly! Help us get the word out about this great book on social media. Here are some tools you can post--thanks!